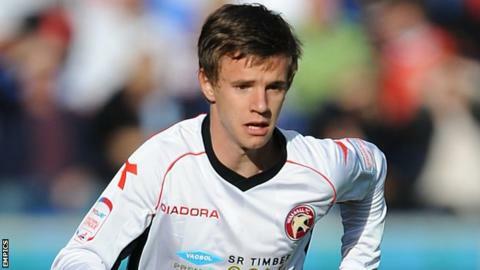 Walsall winger James Baxendale has agreed a new 18-month contract at the Banks's Stadium. The 20-year-old has made 23 appearances for the Saddlers this season since joining in the summer following his release from Doncaster Rovers. Baxendale, who came through the youth ranks at Leeds, will now remain at Walsall until the summer of 2014. "He [Baxendale] is a great personality and has a real zest for football." boss Dean Smith told the club site. "He's had a good run in the team and scored some impressive goals so far. "It's a pleasure to have him around the place and I am delighted that he has agreed this new deal as he is a great prospect."